IPMC data warehousing services incorporates data modeling and architecting, data integration data governance, data warehouse migration services, enterprise data management services, performance and managed services. 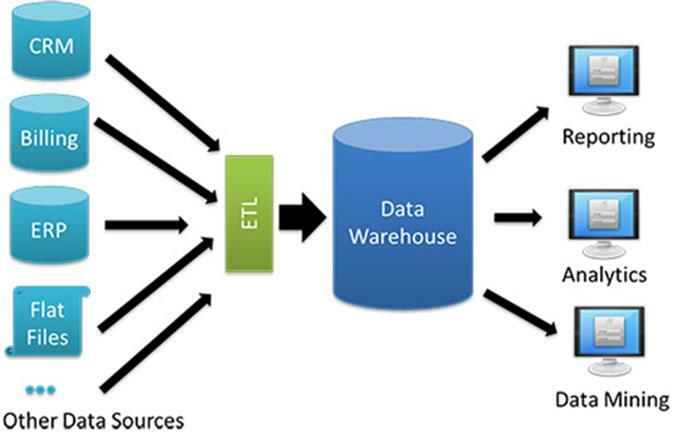 The process which organizations adopt to collect data comprising transactional data from more than one data source such as the database of a transactional system, in a central location and then report that data in an aggregated manner to business users in the organization is called Data Warehousing. IPMC comprehends the complexity of this process, and includes in its data warehousing services discrete and essential components to guarantee success for its clients. IPMC offers easy access to complicated data and facilitates effective business analysis and business forecasting, resulting in effective decision making. Flexibility is an important tool which we offer to the managers to access data through queries. Process architecture, which outlines the stages of data processing wherein the raw transactional data is converted to information for the end users, improving their decision making. Data modeling, which is the most important stage of architecting a data warehouse to integrate and deliver information across the enterprise which largely depends on the quality of the data model architecture. At IPMC , we regard the data models as progressive, like a living document which changes with the changing business and therefore recommend the model to be stored in a repository that can be retrieved, edited and expanded over time. Technology Architecture, comprising the analysis provided by us to the scalability and flexibility of the BI Solution. The size of an organization, its nature of business and requirements influences this.We derive technical architecture through process architecture, metadata management and business rules, security considerations and tool specific needs. This step also incorporates database management, connectivity protocols, middleware, network protocols and related technologies. Information Architecture, which involves a step by step sequence of translating information from one form to another. This enables the mapping of managing the storage, retrieval, modification and deletion of data in the data warehouse. Performance optimization, which is related to the various resources which come from the software architecture that helps in determining performance. Our prime focus here is on optimizing performance, by designing a solution with enough resources to complete the workload on time. The focused expertise of IPMC delivers complex Data Integrated Solutions to our customers by combining data residing in various sources and providing a unified view of enterprise data through SSOT (Single Source of Truth) to the end users. A tedious, time consuming and cumbersome process which is created by data volume explosions, and an increased adoption of Transaction Processing systems like ERP, SCM, CRM and son on is simplified by creating an SSOT or a reporting database with all the required data elements for getting enterprise information in one silo. Through our services of data extraction from the source system, running complex transformation logic on the data for standardization, aggregations and finally loading the modified data into the reporting database. The data model created while architecting this solution determines this process. IPMC brings its expertise to you by balancing a complex program with effective people management skills, committees, management, workforces and strong analytical skills. IPMC services encompass data quality, data management, data policies, business and risk process management related to data management within an organization. As part of our service offering we create a data governance maturity model which is customized to suit the requirements of different customers. The process is one of determining whether the organization needs data governance and if so then determining the most effective way of doing it. Since data warehouse is a critical component for the success of a Business Intelligence system, we realize the importance of it being accurate and up-to-date. Architecture Design and Modeling services: This helps charter a path to meet the needs of both business and IT users through the design and architecture of your data warehouse. This ensures that your data warehouse constantly keeps pace with and meets your business needs. An enterprise data warehouse is created which centralizes your data through data mart consolidation or migration from another platform. Cover data integration, validation, management and protection of data from its origin to its eventful discontinuation. We optimize your system through performance and capacity analysis. An optimum data warehouse environment is maintained by our experts by a daily monitoring of tasks through the utilization of field tested data warehouse processes and specialized tools. The wide spectrum of various data warehousing services covers- data warehouse design, development, maintenance, migration, data marts, data analysis, extraction transformation, loading, online analytical processing data cleansing, conversion administration, report generation and ad hoc query. Initiation, Analysis, Design, Construct, QA, Rollout and Iterate which is obtained by the use of Microsoft SQL Server 2005 Business Intelligence product suit.